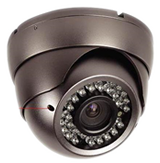 These cameras are in dome shape, ideal for mounting to ceiling. Simple type has a plastic structure and can be used in areas that hitting the camera is not a concern or camera will be installed . There is also vandal proof type which has a metal structure. Both types may have either fix or variable lenses. They also comes in day only or day/night. Day only cameras will work in day light or if inside is bright enough. 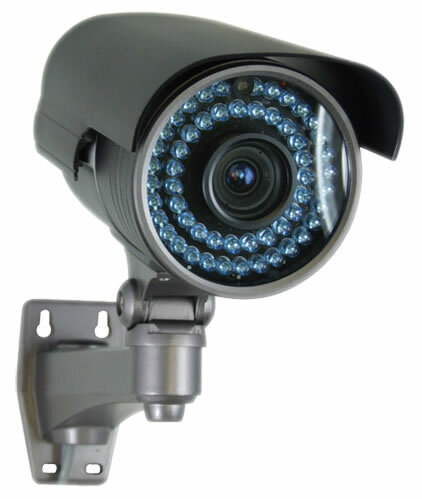 Day/night cameras will have their own infrared LEDs which will be activated automatically if light was not enough. Normally in night time or with LEDs on, they work in black and white mode, but in day light they provide full color images. 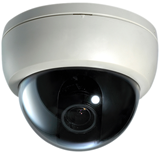 Box cameras are suitable for indoor applications where either day light is exist or room has enough lights. 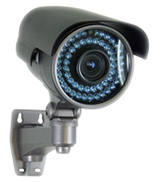 These cameras are not vandal proof, therefore they are recommended for offices having a security guard on site. 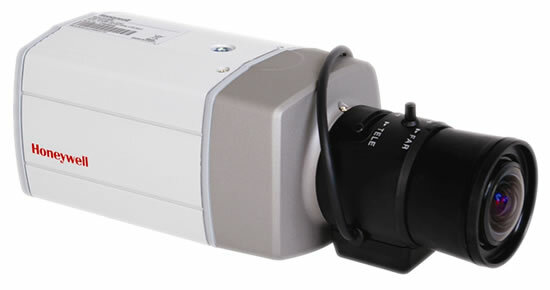 Normally, box cameras does not have lenses, we install the lens based on requirements of the client and environment. They can use lenses with different characteristics including narrow, wide, low light etc. There are some housings that can allow a box camera to be used outdoor. Such housings usually provide protection and also make the camera cool in summer and warm in winter. 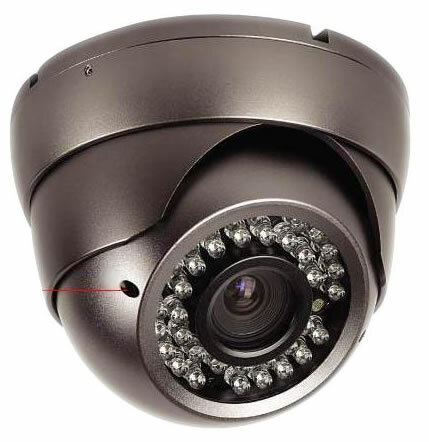 Bullet cameras are the most common form of security cameras, they can be simple or vandal proof, indoor or outdoor, can accept fix or variable lenses and basically they can be used in almost any environment. 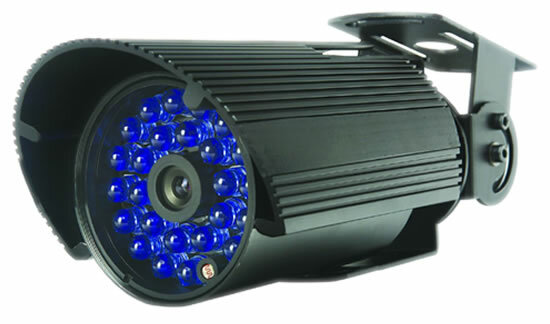 We offer wide range of these cameras, from 420TVL to 600TVL, the higher TVL means better picture and higher quality. 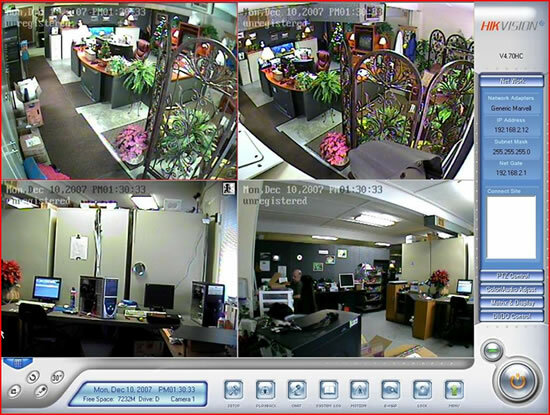 In a security monitoring system, DVR controls all connected cameras, it records activities and provide facilities for further search and checking as well as real time combination of all cameras in a single page. Usually DVRs should be connected to a TV, however some DVRs (like those we offer) can connect to TV or LCD or both. 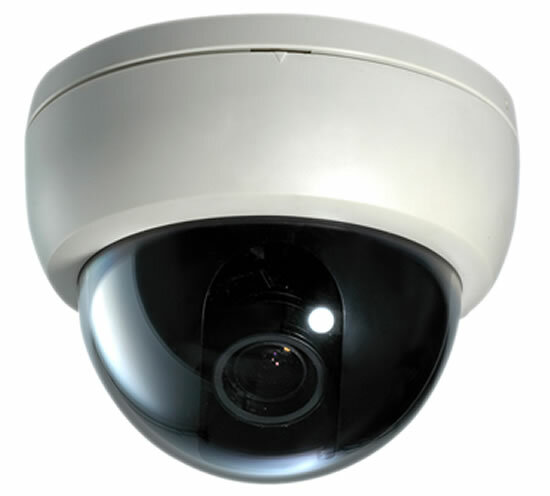 A DVR will be identified by maximum number of cameras that can be connect to it, for instance a 4 channel DVR can accept live video feeds from up to 4 cameras. 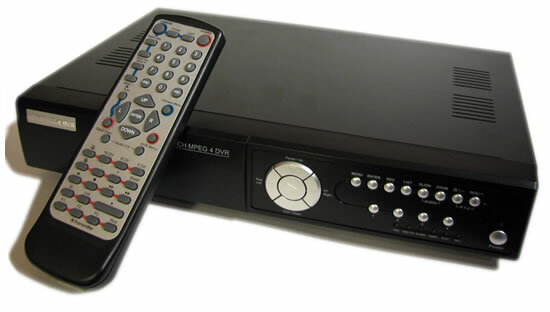 Normally DVRs accepts 4, 8, 16 or 32 channels, so for example if you want to have 6 cameras, you need an 8 channel DVR, although 2 channels will not be connected to any camera. 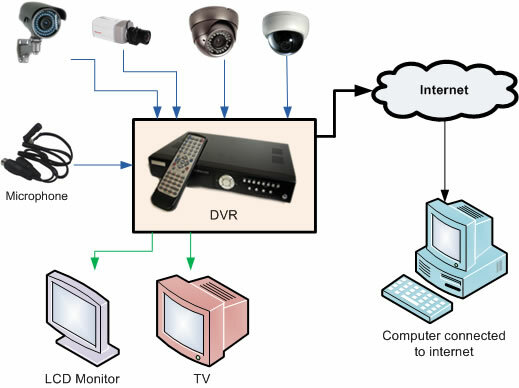 Our line of DVRs can be connected to internet to provide live and recorded feeds of activities to a remote computer that has access to internet. It means you will be able to check your property, employers and activities from any location on planet. DVRs have an internal hard drive to record videos. When hard drive filled with videos it will automatically purge videos of the oldest day and replace them with new ones. It rotates the videos and allow you to have recorded videos of last few days to last few months. Number of days that a DVR can keep the videos depends on capacity of hard drive and quality of videos. © Copyright 2005-2019 Caradox Trading Ltd.	All rights reserved.